Growing up in Detroit in the 1950s, I was born with “CGC” (Car Guy Chromosome). Growing up in Detroit in the 1950s, I was born with “CGC” (Car Guy Chromosome). That was a time when the city moved to the beat of an annual automobile design/concept/production cycle. In September, the windows of dealer showrooms would be covered with butcher paper. Overnight, automobile transports filled with their shrouded payload,would arrive at the dealership and stunning new model year cars would roll off into the showroom. The next morning, with appropriate fanfare, a showroom full of oohs and ahhs accompanied the big reveal for the gathered brand-faithful. In World War II, my Dad was in the 8th Air Force stationed in England at Ridgewell RAF Base where he became enamored with the spiffy little British sports cars he and his buddies would borrow for dates and off-duty touring. Back in post-war US, he often mentioned the fun of getting one. Life and career got in the way, with Dad resigned to conventional station wagons and sedans. 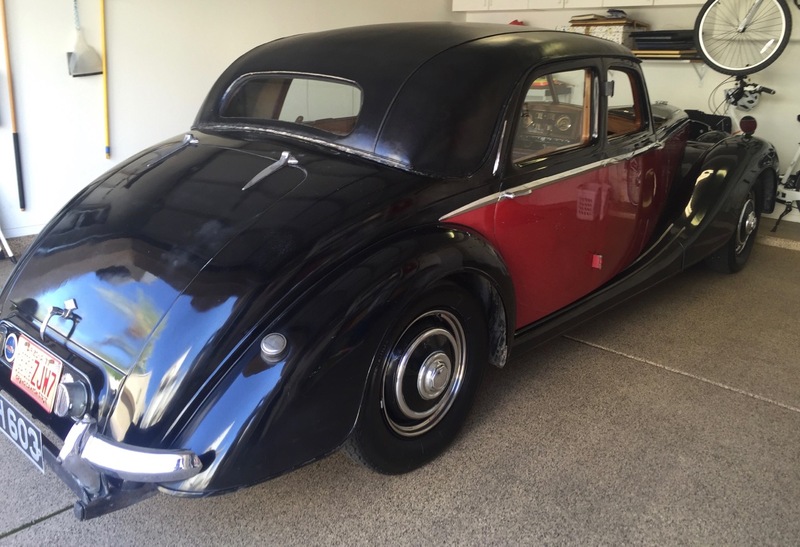 But then an uncle bought one of the first Austin Healeys delivered in Detroit. My first ride was a life-changer. I couldn’t believe how close to the ground it was! And the cool-factor was off the charts. I, too, had life and career interfere with car-guy aspirations until I was in my 40s. By then I was in Phoenix and, among other professional pursuits, I was a board member for the Men’s Arts Council, an organization supporting the mission of the Phoenix Art Museum with fundraising events. With two other guys we skunkworked a fundraiser based upon vintage sports and touring cars, the Copperstate 1000. Twenty-six years later, it’s one of the premier mille miglia-type tours. Working with and being around museum-quality vintage cars and their owners turbo-ed my dream to be not a spectator but an owner in the vintage car community. Fast-forward a few more decades to recently achieving emeritus status as an MBA professor with time bandwidth (and small budget) to pursue the dream. Since my young heart was smitten by post-war British cars, that was my direction. 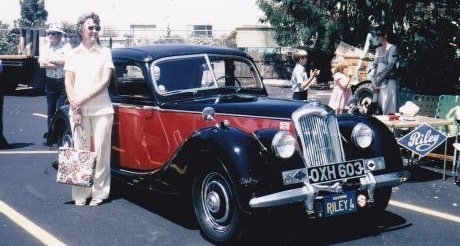 I started by considering the usual suspects: Morgan, MG, Triumph and Austin Healey, but my heart was ultimately taken by a serendipitous introduction to a Riley. When entering the search term “Austin Healey,” up popped a link to Riley inasmuch as at times Riley was a source of motors for Austin Healey. I joined the UK-based Riley Club and did a lot of homework. The challenge was that web-searches always showed UK Rileys for sale. Then I discovered a North American Riley Club and connected with its leader, John Riley (no relation). 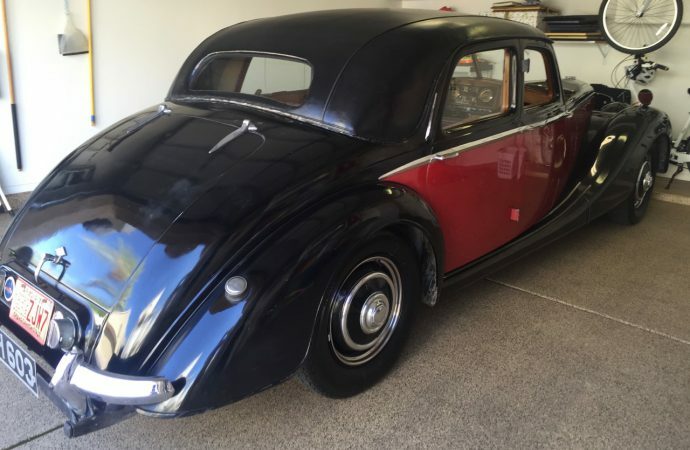 I explained my interest in finding a Riley in the U.S. and within a few days John called to let me know about a conversation with the family of a revered Riley owner and expert, the late Bill Lewis. After several years, Bill’s family had decided to sell the cars. But there was a catch: The buyers would have to buy both of Bill’s Rileys. Luckily, the Rileys were only an hour away from where we were spending the summer. A day later I looked at the cars, bought them on the spot and wound up with a garage full of spares and an extra motor. Another attraction was that both Rileys were left-hand drive (much to my relief and to the collective relief of my wife, kids and grandkids who would someday become passengers). And, according to the registrar of the UK Riley Club, these two are among only 145 total LHDs produced for worldwide export in 1951. 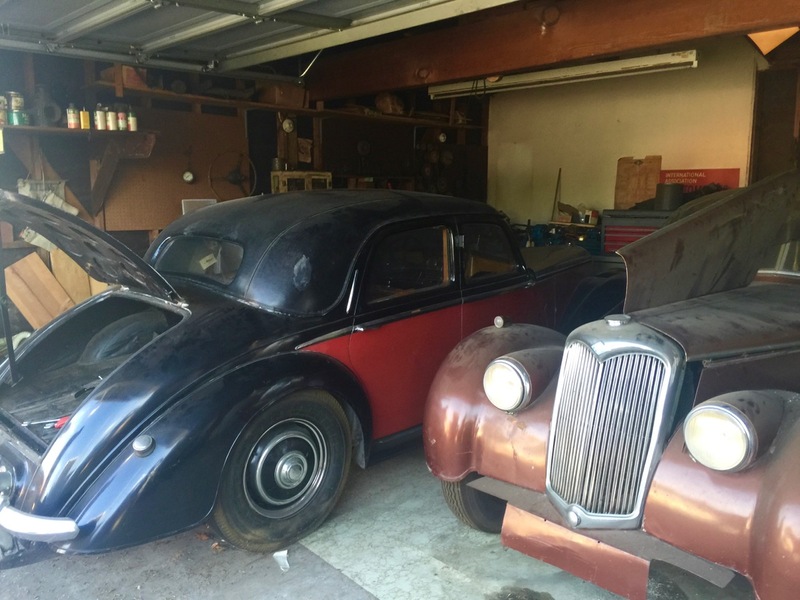 Of course, the rationale for buying two Rileys while intending to buy only one is to have a “parts car.” But the reality is that both of the cars are special and I felt a responsibility to Bill’s legacy to treat both cars as “whole” and both worthy of restoration. I’ve spent the past eight months getting one of the Rileys into daily driver shape, and that’s as far as I wish to go in terms of restoration. (Actually, for the past eight months I was mostly writing checks while the real restoration magic was performed by Dave Walls of Dave’s Imports in Phoenix). Because I feel the Riley marque is an aspirational car for a middle-class family, it would not be comfortable all gussied up for a highfalutin’ concours. The road so far has been delightful, though marked by fits of impatience and checkbook heartburn. Soon I’ll bring one of the dignified ladies to Flagstaff (elevation 7,000 feet) to escape the Phoenix summer’s heat and turn some heads in the cool mountain pines.